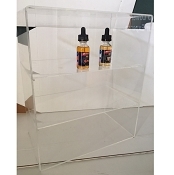 Our production department specializes in product modifications of our existing acrylic stock displays. 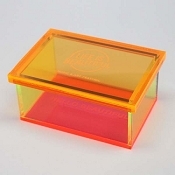 We can vary the width, height, or depth of our already existing acrylic products. 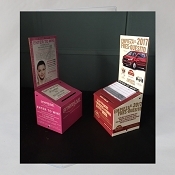 Our manufacturing is also capable of adding pockets, business card holders, silkscreen and other acrylic accessories to your custom display. Show us your ideas for review and evaluation! 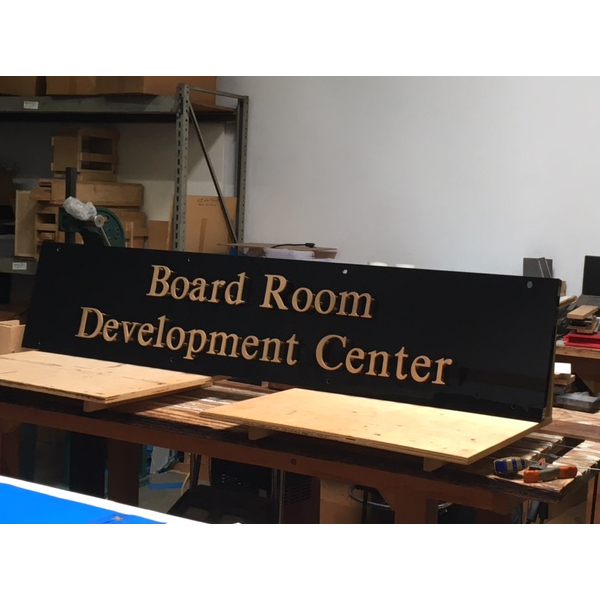 If you've seen an acrylic display that's close to what you're looking for and don't see a similar item on our website just email us the details and a mock up of the design and we'll gladly take a look. Please note that we do have a custom minimum order amount. This will depends on the product being quoted. For smaller products, it's safe to assume we'll have a quantity 100 unit minimum. For larger products, assume they'll be at least a 25 unit minimum.